* A courting buggy, which has a single seat for two and no top. 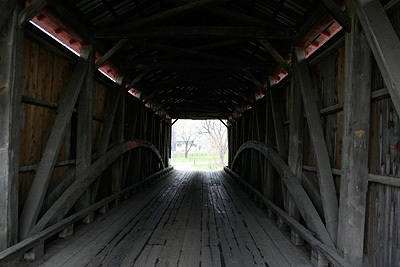 This allows unmarried couples to ride together without too much privacy. * A bench wagon, which transports the benches used for Sunday services. * A minister's wagon, which is like a family buggy but without a storm front. * A pickup wagon or market wagon, which both have an open back. * A spring wagon, which has room for two or three people and no top. 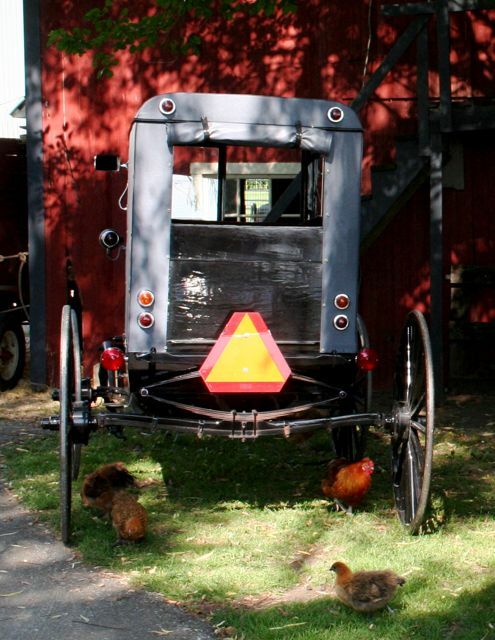 Over the years, as roads have become more congested with cars, the Amish have had to adopt certain safety equipment on their buggies, such as reflective triangles or tape, turn indicators, mirrors, and lights. Church leaders are sometimes at odds with municipal authorities over these items because they feel that they are flashy and encourage pride. However, the Amish have slowly begun to compromise for the sake of the greater good and the safety of their members. 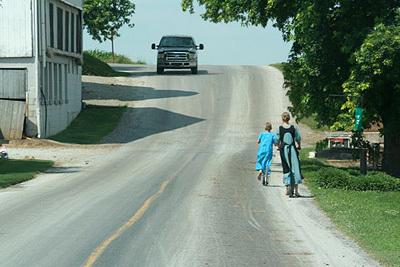 The majority of Amish people tend not to travel very far from home. Consequently, members of distant settlements don't have much opportunity for face-to-face, informal contact with each other. 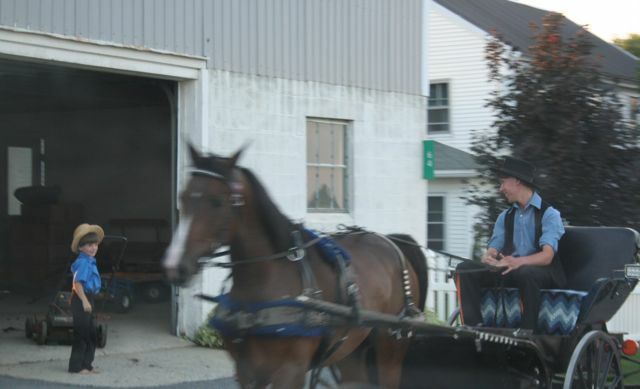 Still, they can keep up with Amish-related news all around the country through the Budget, a popular nationwide newspaper headquartered in Ohio that prints and distributes reports of local happenings sent in by a far-flung network of Amish scribes. In this way, the sense of Amish community is encouraged and nurtured despite the distances (and differences) between them. Reading the Budget is like sitting down over coffee with a friend to hear the latest news, even if that news happened several states away. 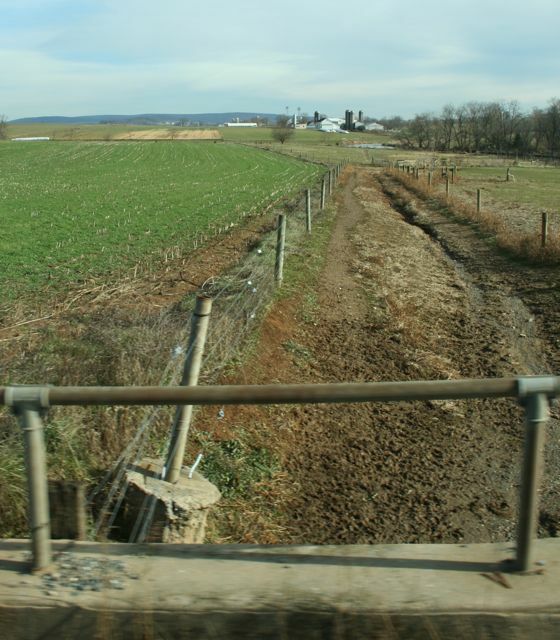 Literally an "underpass" for cows, this tunnel goes under the road so that cattle can cross the street without injury. In the 1970s, the Amish found themselves at odds with a federal regulation that required hard hats on construction jobs, something that would violate Amish clothing regulations. 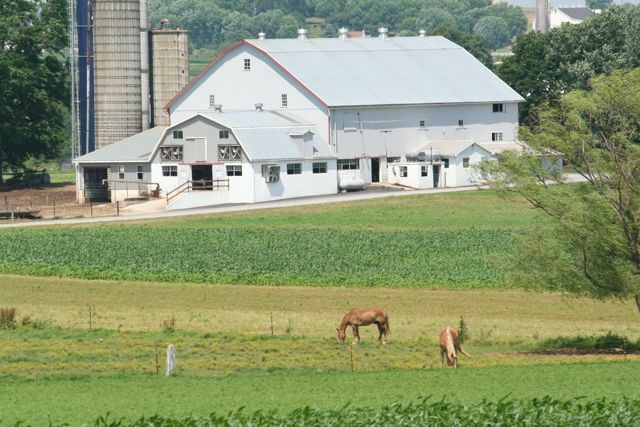 A representative for the Amish National Steering Committee asked for an exemption from the Secretary of Labor and Industry, explaining that the law violated their religious freedom. According to a witness at the hearing, the secretary examined the Amish man's black felt hat. Seeing how sturdy and rigid it was, he promptly agreed to allow the exemption. 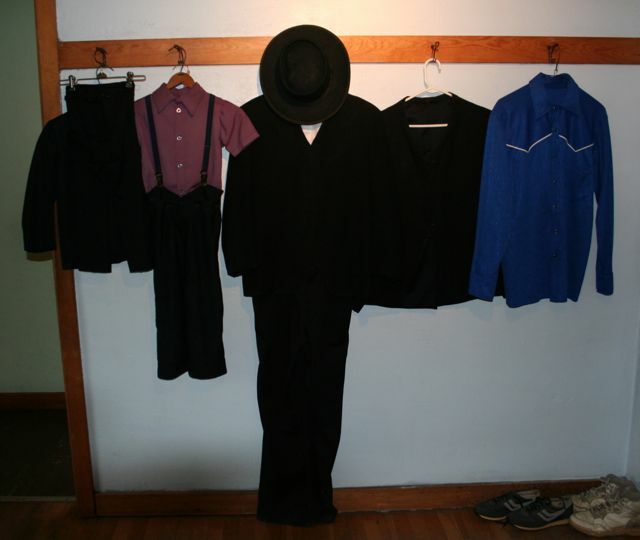 The black felt hats worn by Amish men are exceptionally well-crafted and very expensive. Most boys and young men instead wear lower-quality, less expensive versions. When a young man joins the church, usually in his late teens or early twenties, he is often given a "real" hat, one that he will tend carefully and use for many years. 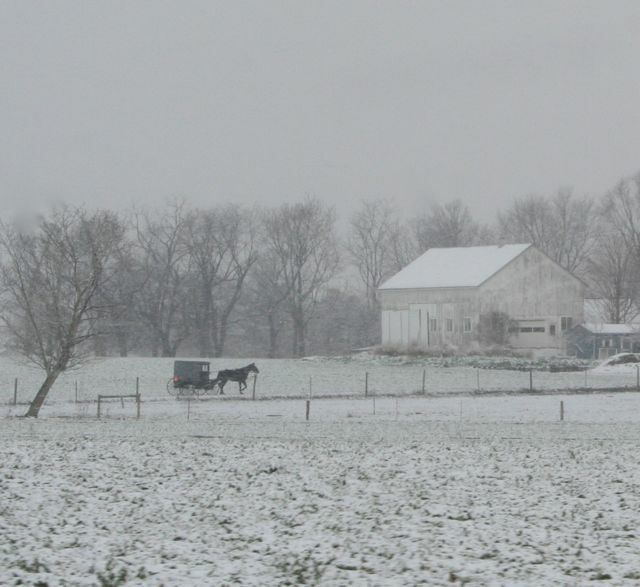 A typical Amish farm. 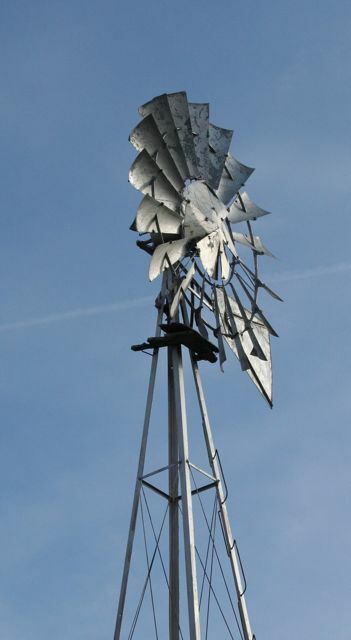 As the family grows and the farm's business expands, new buildings are added almost willy nilly. Many of my Louisiana friends and relatives didn't appreciate their dependence on "the grid" until Hurricane Katrina and its aftermath. Left without electricity or phone service for days, weeks, and in some cases months, they found themselves at the mercy of the weather (no air conditioning! ), the sunshine (no electric lights or television! ), the U.S. Postal Service (no e-mail! ), and more. Our lives depend on electricity from the first tones of the clock radio in the morning to the last light of the reading lamp at night. Sometimes when we look at the Amish, we're tempted to romanticize a life lived by candlelight dinners and woodstoves. Having seen what my loved ones went through with Katrina, however, I can say that the notion is highly overrated. Rather than eliminating our dependence on the grid, our goal should be to moderate it. Taking a cue from the Amish, we can turn off the television, the computer, and the telephone far more often than we do. Once in a while, we should turn off the lights and fire up the candles. But may we never underestimate the value of turning those lights back on when we need themnot to mention basking in the warmth of our heaters or the coolness of our air conditioners as well. 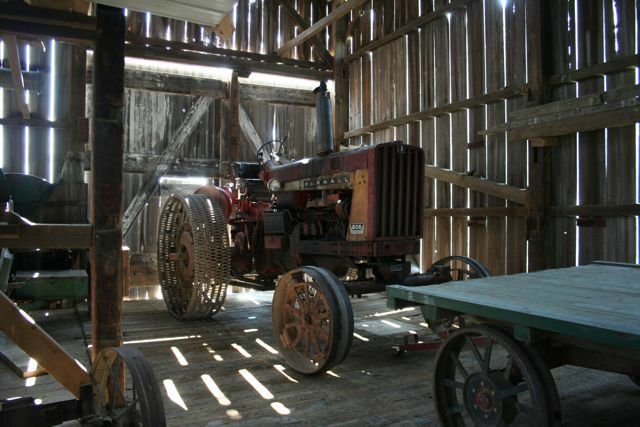 An Amish tractor: Note the lack of rubber on the tires. This is so it can't be used as transportation beyond the farm where it's located. 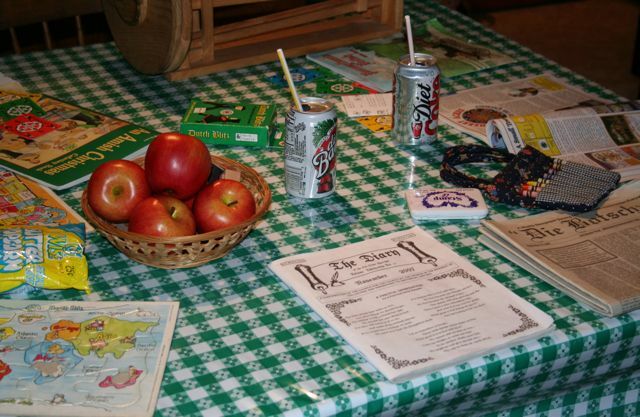 Non-Amish parents might not communicate their household rules and expectations as formally as the Amish do in their Ordnung, but good parenting involves the creation and enforcement of various boundaries for our children. Just as the Amish periodically review their religious regulations and tweak or change them as necessary, we do well to occasionally take a closer look at our own family rules and do the same. Whether we loosen the reins a bit as our children mature or tighten up when they do not act responsibly, our rule-making should be a dynamic process that addresses new challenges and changes in the light of our own family goals and principles. 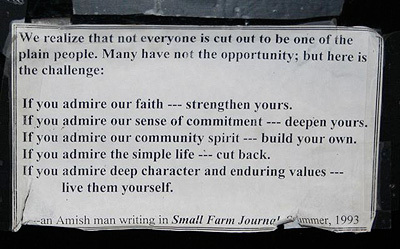 Once established, rules need consequences to remain effective, something the Amish have long understood and practiced. Most Christian denominations don't dictate their members' clothing choices, but make no mistake: Our clothes do reflect our belief systems, regardless. I'm always so dismayed when I see Christian boys sporting t-shirts with offensive messages or Christian girls wearing skimpy outfits, teeny bikinis, belly shirts, super-low-cut jeans, and more. I'm no prude, but as the mother of two nearly-grown Christian daughters I can honestly say that it is possible for teens to dress every bit as fashionably as their peers without having to cross the line into provocative or offensive outfits. It's not easy but it is possibleand most of all, it's important. 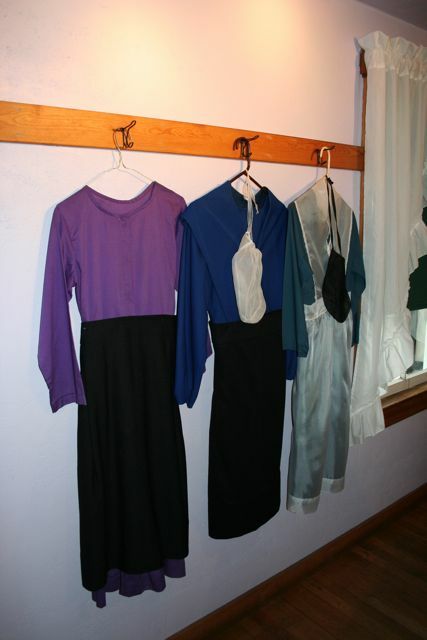 Stylish clothing that also happens to be modest says a lot about the wearer without saying a word, much as the simple cap, dress, and apron of an Amish girl speaks for her. Recently, our family was invited to stay at a small cottage in upstate New York. Perched on a hill overlooking Lake Champlain, the place was surrounded by all sorts of opportunities for water sports, hiking, sightseeing, and more. When we arrived, I told my husband I was glad to see that the cottage had a television, as I had brought my Wii Fit just in case. "Wii Fit?" he laughed. "How about we go outside and enjoy some real fit?" It's easy to forget how "simulated" our lives are these days. Studying the Amish way of life reminds us that we can survive without all of the gadgets and devices that we think are so indispensible. We also need to keep in mind technology's "dark side": cell phones that stop us from ever getting away from the office, texting that lets our teenagers carry on conversations with their friends while pretending to listen to their teachers, cable television that brings things into homes that we would never invite. Just as I put away the Wii Fit and picked up a canoe paddle at the lake, may we all pause now and then to evaluate our technological choices, weigh the pros and cons of each, and eliminate or moderate as necessary. By emulating the peaceful, technology-free evenings in Amish homes, may we bring peace and quiet back to our own. 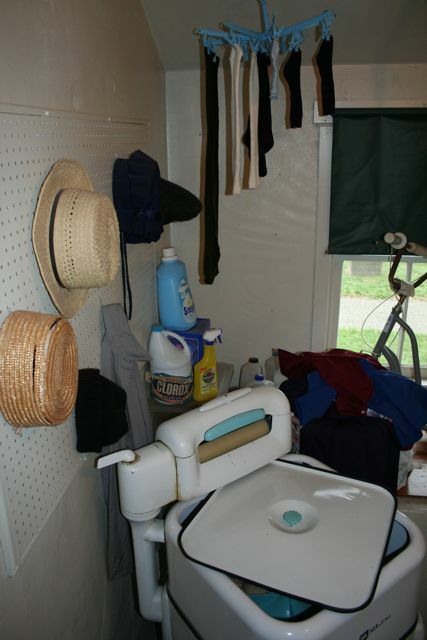 Most Amish adapt appliances for their homes, so their kitchens may have refrigerators (powered by propane), their bathrooms may have plumbing (powered by compressed air), and their living rooms can be warm and cozy on the coldest winter nights (with heaters powered by bottled gas). Why, then, do they not heat their bedrooms? Surely they don't enjoy leaving the warmth of the hearth to go upstairs and slip between ice-cold sheets at bedtime, do they? I asked that question of an expert on Amish life and was very surprised and impressed with his answer: "If the whole house is warm, what's to keep the children downstairs with their parents in the evenings? Everyone might want to go their own way, which can lead to the disintegration of the family." In non-Amish homes, I don't recommend turning of the central heat for the sake of quality time, but a lot can be said for keeping all the fun stuff, such as video games and computers, out of the kids' rooms and in the common areas instead. It's safer for the kids, and it helps preserve the family unit by ensuring more together time on a regular basis. In 1985, the Peter Weir movie Witness became a worldwide hit. Set in the midst of Amish life, the movie, which starred Harrison Ford and Kelly McGillis, earned two Oscars and almost $70 million at the box office. To this day, many people's knowledge about the Amish is limited to this single film. In 1997, a literary genre was born with the release of The Shunning , author Beverly Lewis' fictional tale of Amish life based on her own grandmother's experiences. As more books from Lewis and other authors followed, readers were able to get an inside peek into Amish life, and the genre's popularity has continued to grow. According to Associated Press reporter Eric Gorski, these books are a hit with those "attracted by a simpler time, curiosity about cloistered communities and admiration for the strong, traditional faith of the Amish." As a writer of Amish fiction myself, I know that part of the allure is the ability to explore a world that is so foreign to us and yet for some reason so appealing. Through the lives of characters on a page, we can all become Amish for a while, even if only in our imaginations. The Amish live a physically demanding lifestyle, so they often don't have to pay close attention to things like fat content or calorie counts. 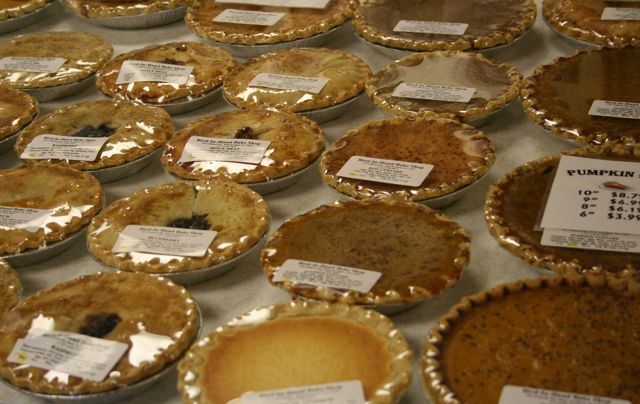 Their food is simple and satisfying (if often somewhat fattening) and features much of what we non-Amish think of as comfort food, such as potato dishes, breads, noodles, and pies. 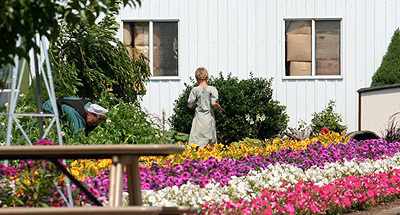 The Amish grow much of their own food and do a lot of canning of fruits and vegetables. A good harvest, well canned, will carry a household through many months. One well-known Amish dessert is the molasses-based Shoo-Fly Pie. 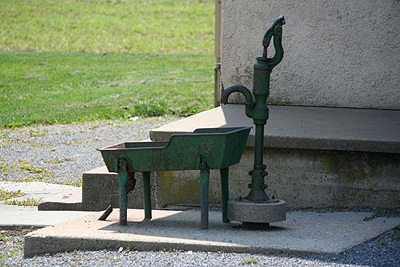 In many Amish homes, it is a daily staple. The following recipe for Shoo-Fly Pie comes from The Homestyle Amish Kitchen Cookbook by Georgia Varozza [www.harvesthousepublishers.com]. 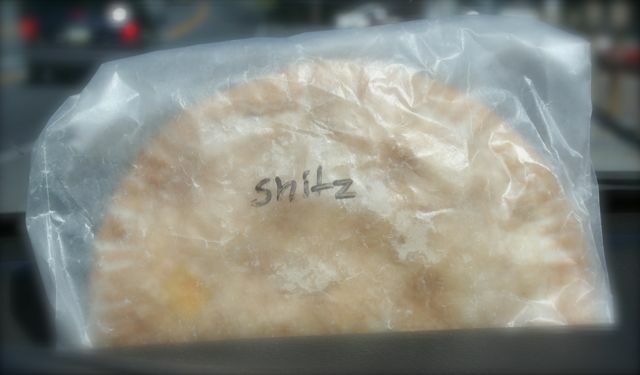 Other Amish favorites include Scrapple, Potato Rivvel Soup, and Snitz Pie. Mix the first four ingredients thoroughly together to make a syrup. Divide mixture in half and pour into the two unbaked pie shells. Thoroughly mix together the rest of the ingredients for a crumb topping. Divide and sprinkle crumb topping onto the two pies. Bake at 450° for 10 minutes and then reduce heat to 350° and continue baking until done, about another 30 minutes. 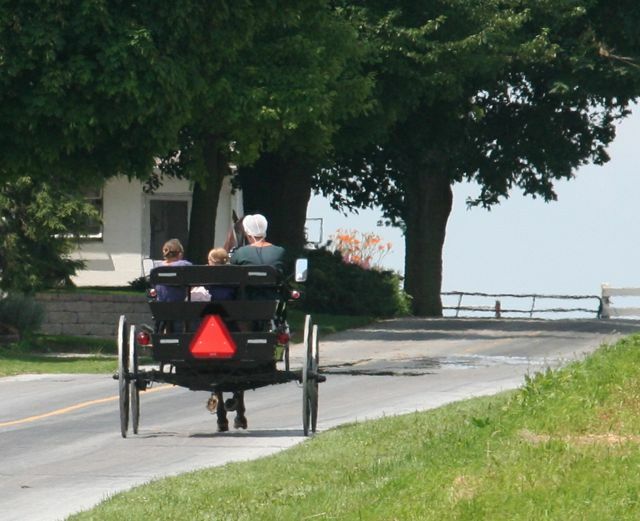 For the Amish, fun almost always includes getting together with family and friends. Ask Amish people how they celebrated the previous special occasion or holiday, and they'll likely tell you who came over and what they had to eat! Big family meals aren't the only way the Amish enjoy themselves, however. Indoors, they love to read and play board or card games such as Dutch Blitz . 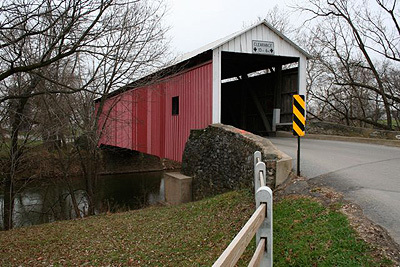 Outdoors, they enjoy nature-related activities, such as picnics, volleyball games, hunting, boating, fishing, archery, biking, sledding, skating, swimming, softball, and camping. 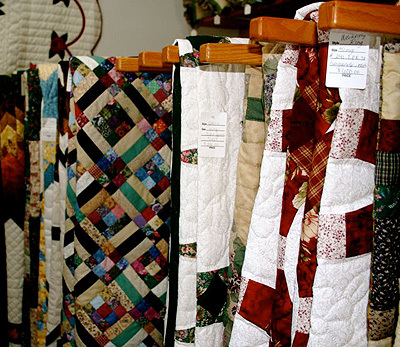 They also enjoy social events that blend work and play, such as barn raisings, work frolics, and quilting bees. Amish youth regularly have group singings, which also provide ample opportunities for flirting. 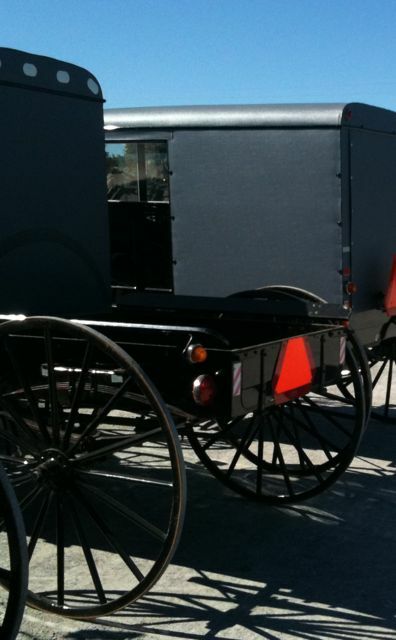 The Amish do take vacations, though these are usually inexpensive and don't include traveling long distances. Families may go camping for several days or take an extended trip to visit relatives. While traveling, they might take in a museum or zoo or national park. Unlike most Americans, who work hard now so we can play hard later, the Amish don't necessarily see work and play as mutually exclusive. Though they work incredibly hard, they almost always have time to enjoy conversation as they feed the animals, take a break from cooking to cuddle with the baby, or even set aside chores altogether for half an hour to go sledding in the freshly fallen snow. The post-wedding celebration varies from district to district but always centers around the newly married couple and the feast. Eating may be done in shifts as various volunteers serve. In some settlements, the celebration can continue late into the night. 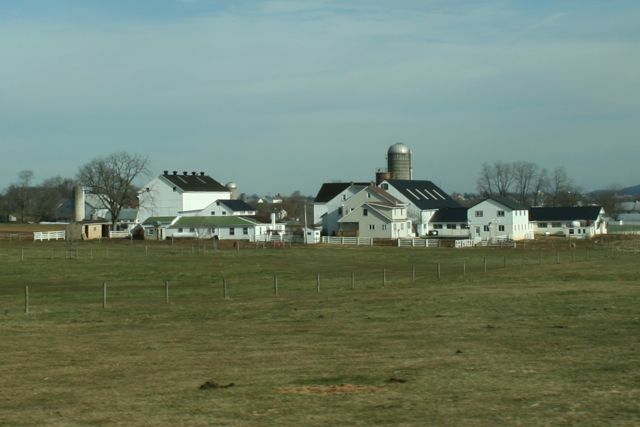 One of the most tragic events in Amish history was the shooting of innocent youths on October 2, 2006, in the town of Nickel Mines, Pennsylvania. 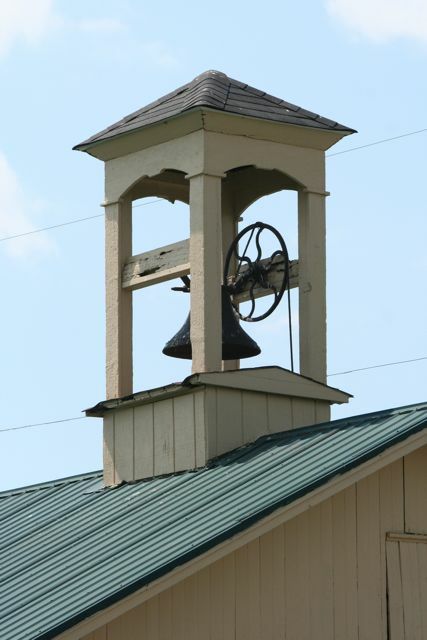 On that otherwise quiet Monday morning, a local non-Amish man entered a one-room Amish schoolhouse, surprising the students and teachers and taking them hostage at gunpoint. He forced the adults and boys out of the building and then barricaded himself inside with the girls, whom he lined up along the chalkboard and bound at the ankles with wire and plastic ties. Though police responded promptly to the event, they were unable to stop the gunman from opening fire on the girls and then himself. 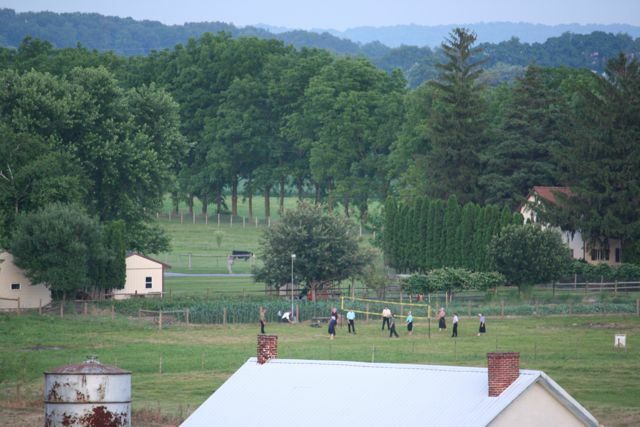 In the end, the incident left five Amish girls dead and five more in critical condition. Also dead, by suicide, was the gunman himself, whose motives have never been fully understood. Experts think he may have been struggling with mental illness. 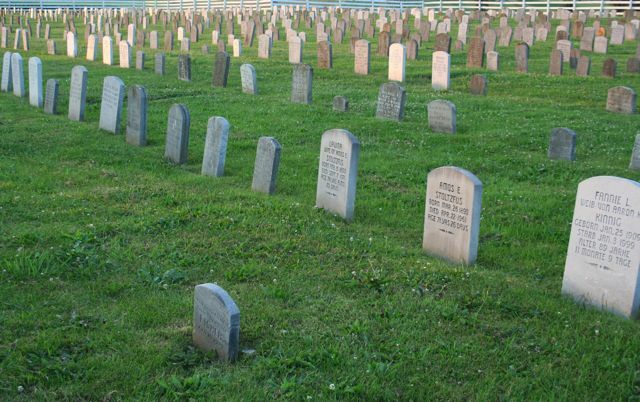 He was a resident of the area and reportedly had no grudges or ill will against the Amish. The Amish community, though heartbroken, astounded the world by responding to the event by offering nearly immediate forgiveness for the gunman and comfort for his surviving family members. Beginning just hours after the shooting, members of the Amish community started visiting the family, about 30 Amish attended his funeral, and Amish church leaders even set up a charitable trust for his widow and children. Surprisingly, such rapid and complete forgiveness in word and deed drew harsh criticism from many directions. 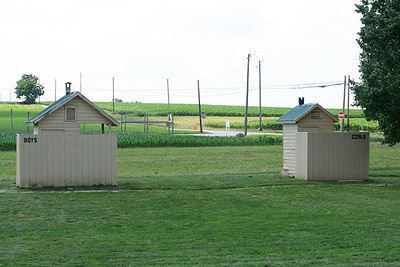 Opinions were expressed in public forums by writers who, lacking full knowledge of Amish culture or firsthand familiarity with the event and its aftermath, blasted the Amish community's act of grace, often putting it in the wrong context. One Boston Globe columnist wrote, "Hatred is not always wrong, and forgiveness is not always deserved...I would not want to be like [the Amish], reacting to terrible crimes with dispassion and absolution." In a world where faith often justifies and magnifies revenge, and in a nation where some Christians use scripture to fuel retaliation, the Amish response was indeed a surprise. Regardless of the details of the Nickel Mines story, one message rings clear: religion was not used to justify rage and revenge but to inspire goodness, forgiveness, and grace. And that is the big lesson for the rest of us regardless of our faith or nationality. Recently, I dined in the home of one of the families whose lives were directly impacted by the incident. Though the tragedy itself was not mentioned, I couldn't help but notice the sadness that still lingers in the mother's eyes, the heavy feeling of loss that permeates the entire family. Certainly, they have continued on in the world of the living. Their gleaming floors, healthy animals, and overflowing gardens attest to that. For the most part, family life seems back to business as usual, their youngest child laughing at the dogs' antics, their teenager flashing a shy smile at his girlfriend. But despite the years that have passed, the whole family is obviously still learning to adapt to what psychologists call a "new normal," one where children can be victims of a senseless crime but life goes on anyway. For this family and indeed for all the Amish families touched by the tragedy, forgiveness is something they did in the beginning, yes, but also something they must do over and over, sometimes each new day. 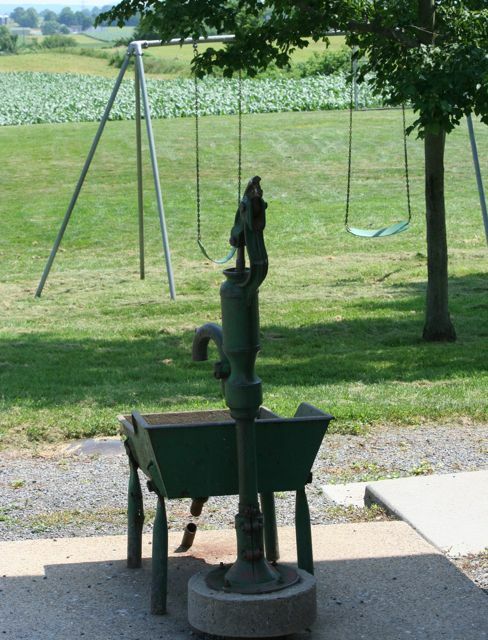 Among the Amish, the tragedy at Nickel Mines has come to be known as "the Happening." They don't talk about it much anymore, at least not with outsiders. 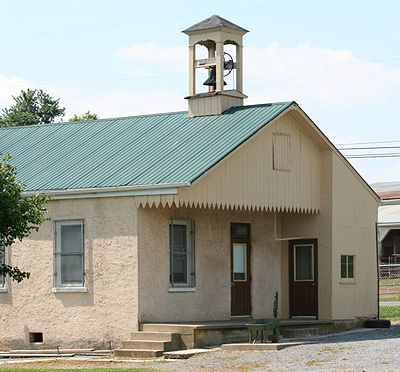 The schoolhouse has long since been torn down, its replacement built in a different style at a different location. No longer the Nickel Mines School, it has been christened New Hope, a name that resonates with optimism for the future despite the past. Of the five victims who survived the shooting, one lives with impaired vision, they've all had numerous surgeries, and one suffered extensive brain damage and is confined to a wheelchair. All five are currently living at home with their families, going on with their lives. My best impression of how the incident has impacted the Amish community at large came from a conversation with another Amish woman, one who wasn't directly connected to the victims or their families but grieved nonetheless. She and I weren't even talking about the shooting but about the Ordnung and infractions of rules and differences between districts. According to her, Nickel Mines put everything into perspective. "We used to bicker more, have disagreements about this little rule and that little rule and who did what differently in which districts," she said. "Then something...bigger happened, something terrible," she continued, her voice faltering for a moment, "and we realized all the arguing was so pointless. There were far more important matters in life."